Hello and Welcome to my weekly Star Cast, where I bring you the update on what’s happening in the world of astrology – and how you can apply the wisdom to enrich your life. My key phrase for this week is: Follow Your Stars. 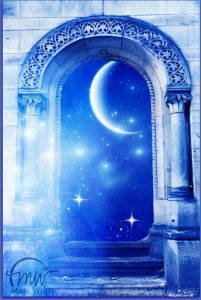 Today is a special day – the Aquarius New moon arrives this evening. And then, tomorrow, February 5th, it’s officially Chinese New year; the year of the Pig, aka the Boar. There are many activities surrounding the Chinese New Year, for example, one of the things recommended is to avoid crying children and do not visit medical doctors. It’s believed that how you spend this day, Tuesday the 5th, will impact the rest of the year, so, make Tuesday a day of grace. 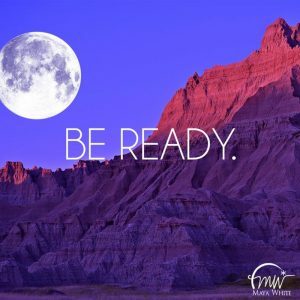 The New Moon is always a time to set your intentions for the month ahead. Aquarius is a sign of acknowledging our need for other people. Practice honor, respect, and having good times together. Remember your friends and associates, and while you’re at it, do something good for Mother Earth this week. Chiron, the planet/asteroid of healing is preparing to leave the sign of Pisces and move into Aries. This is a powerful time for personal healing. Over the next month, long lasting aliments and even ancestral or hereditary ailments can be successfully addressed. Surely, they are coming up for review. Chiron is deeply into the last breath of Pisces. If you’re experiencing a healing crisis, or emotional turmoil, understand that Chiron the Shaman is active in your life now. Also today, Venus enters Capricorn, after having been in Sagittarius for about a month. Venus in Capricorn is more serious and steadfast. If and when you give your word you’ll be called to hold to your commitment. 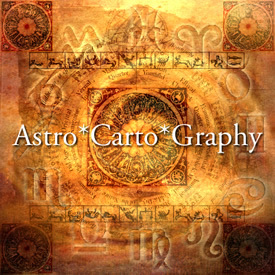 Another dynamic day this week is Thursday when the Sun and Jupiter form a favorable sextile, the aspect of opportunity. In addition to many lunar aspects, Mercury and Mars are also sextile. Basically, this means that it’s a great day to reach out and either take a risk, or grow in some other way. The Universes has much to offer on Thursday, so, be open to opportunities and ready to take action. With the Sun in Aquarius, the area of opportunity will likely come through other people – work associates, friends, or even chance meetings. This is an important time to get outside of your usual routine and look at the world through fresh eyes. Remember that Mars and Uranus are still traveling very closely together in Aries. These two planets can trigger unexpected events and or actions, they are both radical action takers, and you may be promoted to do something that you’ve never done before. Plus, Pluto and Saturn are circling the wagons in preparation for their solidarity conjunction of 2020. Saturn is a builder; Pluto is a destroyer. Saturn has restraint and order; Pluto is wholesale change. January 1 of 2020 opens with Mercury, Jupiter, Sun, Saturn, and Pluto all in Capricorn. And Mars stands guard at 29 degrees of Scorpio. Surely there will be a new order to the world, but the question is: what will that be? Hold on to the option for a season of empowerment rather than disintegration. Focus on building and even reconstruction of yourself! Heal your body, feed your mind, and be nurtured by your soul. This week begins with a favorable sextile between Mercury and Neptune.The sextile is an aspect of opportunity meaning that there are lots of good things available to you today, but you have to reach out and make them come to you. Carpe Diem. Keep busy today and don’t lose heart because also today, the moon conjuncts Uranus just before 11 AM Eastern time. Moon conjunct Uranus is an energizer bunny aspect –if you have a lot to get done today, you may well have to work into the evening hours, but the good news is that you’ll get much accomplished, and in fact, this aspect between the moon and Uranus really favors creativity. So, it’s a good Monday, although it may be a long one. Just after the Moon joins Uranus, it enters Taurus where it stays until Wednesday. A Taurus moon favors productivity and helps to insure that your work will be long lasting. Be sure to take time out and smell the flowers because beauty is one of the true gifts of Taurus. The best day this week is Friday, January 18th. First, is a lovely Venus trine Mars – this is a famous lovers aspect, so, if you have someone special with whom you want to ignite a spark – Friday is that day to do it. Venus represents the feminine and Mars is about masculine, so when these two meet in a favorable trine – romance is kindled. Plus, both are in fire signs, Venus in Sagittarius and Mars in Aries – wow – this is a lovely combination. Plus, on Friday Mercury conjuncts Pluto – what this means is that not only do you have the light heartedness of Mars trine Venus, but you also add some deep communication. Pluto makes you honest, and Mercury helps you speak in a clear but also light hearted way. Remember, Uranus is now direct and enters Taurus on March 5th where he stays until 2026. You’ll hear many things about Uranus in Taurus, but know that long standing empires were built with this combination, and generally this is a favorable placement for Uranus. Uranus retrograde was a time when old patterns were broken apart. Now, with Uranus in direct motion, it’s time to focus on your holistic and complete heath, body, mind, and soul. This Scorpio New Moon is a time to come back to your body. Today, November 6, is a pivotal day for the world, and tomorrow, November 7th, is a vital day in astrology. On Wednesday, the Sun and Moon join forces in the exact middle at 15 degrees of Scorpio. This degree of Scorpio holds a special place in the history of sky watching. The 15th degree of Scorpio is known as the Gate of the Avatar. 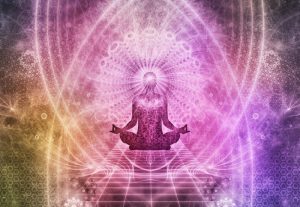 Taken from an ancient Hindu term related to the word ‘descent’, an Avatar is an enlightened Teacher who enters, or descends to the earth plane. The Avatar is an embodiment of a prime, creative Universal force. And the Avatar Gate is a vortex, a point of entry where enlightened service manifests. These days we all are waking up to fulfill our unique divine purpose. The Avatar Gate serves not only spiritual Masters. It is a manifestation point for YOU and your spiritual work and mission. In short, the Scorpio new moon signals that it’s time to inhabit your body in the most full and creative way possible. It’s time to come home and do your work in the world. We have been stressed and under pressure all year. Just like when a baby is born, their cries can persist until the point you feel you cannot go on. In other words, you may feel absolute discomfort and at the same time a promise of fulfillment. What is coming will be a better version of what is left behind. So, this week’s powerful new moon is one that speaks to rebirth and just like a little baby we can see the world with bright and fresh eyes.